The opening set up for the historical Freeman's Farm scenario from Saratoga, a game from GMT's "Battles of the American Revolution" series. This is the version from the tri-pack that was released last year. 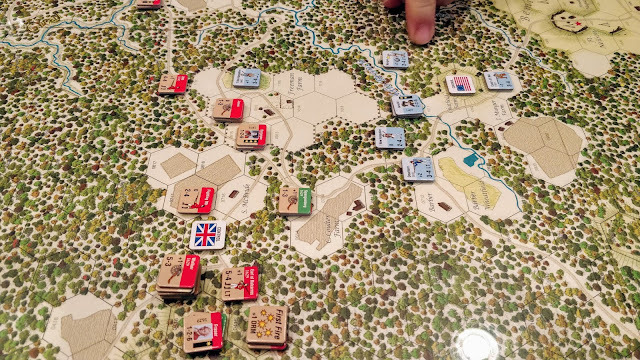 My regular Thursday night opponent David van Hoose getting ready to set Benedict Arnold and his boys on my Brits. This is a nice, short-duration scenario. Just four turns with simple victory conditions and a relatively small number of counters. Nonetheless, we only managed to get about halfway through it tonight, mostly due to nattering. The Americans are aggressive tonight. Arnold has thrown pretty much all of Poor's brigade into the fray right off. The British are thrown back, exposing some of their artillery to a further American advance, which captures the guns. The King's men reform and again advance on Freeman's Farm. 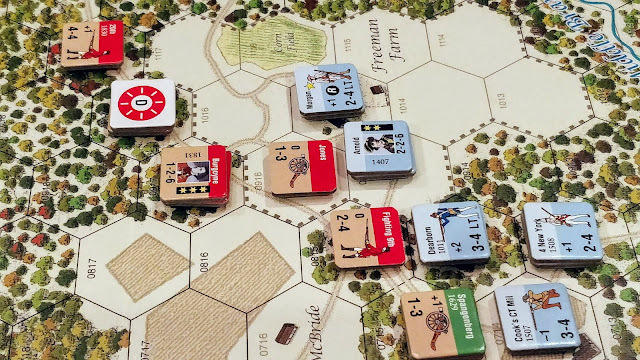 Balcarres' light infantry and the British Grenadiers have been released and attack the American flank. 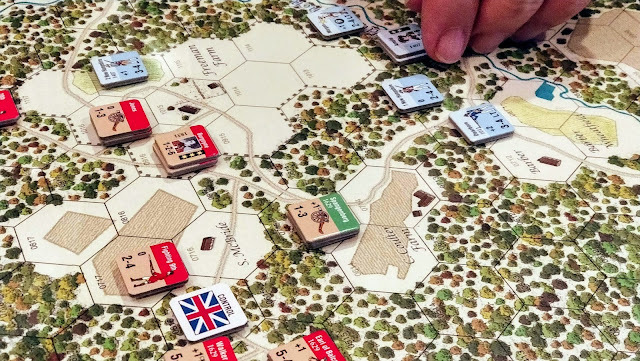 The Americans are thrown back by the British counter-attack, with several units retreating, disordered, and one militia battalion eliminated. So far, a very seesaw battle! It's been awhile since we gave this system a try and I'm reminded of why I like it so much. It nicely captures the nature of AWI combat but plays quickly without a ton of rules overhead. 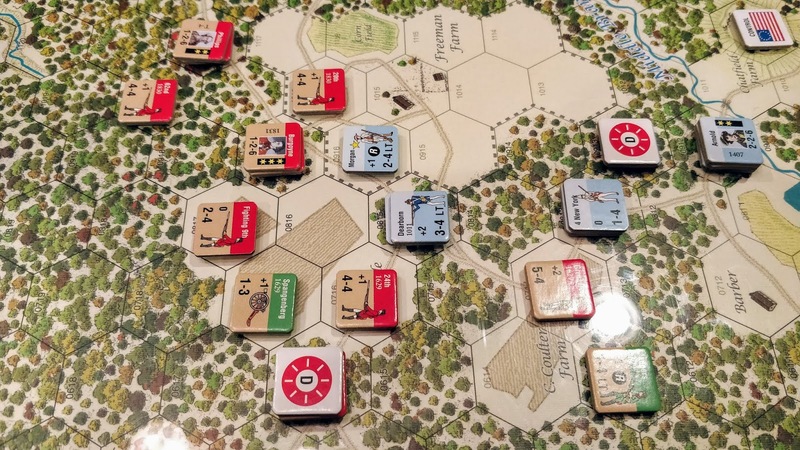 The special rules for each scenario add some great historical chrome to each battle.